Patients who have reconsidered their silver amalgam fillings may consider the removal of these mercury-laden materials. Mercury is a substance that is harmful to the human body. It is a toxin that should not be used for dental restorations. Dr. Scott Stewart of South Lakewood Dental can remove mercury fillings and replace them with healthier, biocompatible composite resin. Mercury makes up approximately 50 percent of silver amalgam fillings. When warmed, mercury releases toxins. Warming may be caused by brushing, chewing, or even enjoying a hot beverage. Dr. Scott Stewart and his team do not place mercury fillings and instead recommend the placement of composite resin. 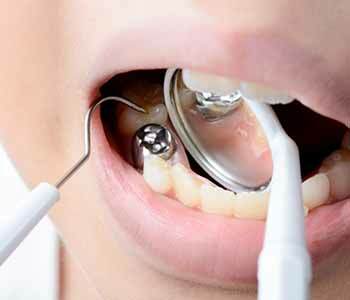 The removal of these fillings must be done with special standards to ensure safety. Dr. Scott Stewart is a member of the IAOMT and focuses on using their protocols to perform treatments. This includes protecting patient and staff from the toxins that could be released during the removal of these fillings. Patients are educated on the many steps taken throughout the process to ensure safety from the toxins released from these fillings upon removal and replacement. Dr. Scott Stewart and the team of South Lakewood Dental are committed to providing biological, holistic, and metal-free solutions. If you reside in or around the area of Lakewood, Colorado and are ready to discuss the benefits of treatment with holistic dentistry, now is the time to connect with Dr. Scott Stewart and his team. His front office staff can be reached at (855) 233-0023 or by visiting the practice at 2525 S. Wadsworth Boulevard, Suite 11.